Patio doors were once found only in the homes of the wealthy and aristocratic. Modern manufacturing techniques have made them more widely available and today, there are more choices than ever. From traditional French doors to modern bi-fold doors, you can mix and match the styles to create your dream home. 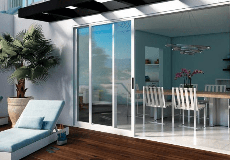 Get your copy of '6 Essential Tips for Choosing New Patio Doors for Your Home' and receive updates from Milgard, including tips, information and promotions. You can withdraw your consent at any time.